Alpha House is a Nursery, Pre-K, and Kindergarten that was established in September 1975. 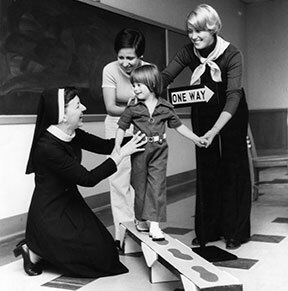 Because of increased enrollment in September 1977, Alpha House was expanded to include a Kindergarten. 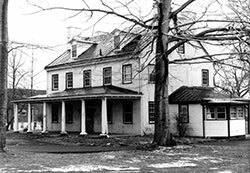 Facilities for the expanded program were provided in larger quarters at the southeast corner of Grant and Frankford Avenues. In September 1979, a second morning Kindergarten class was made available to meet the needs of the community. 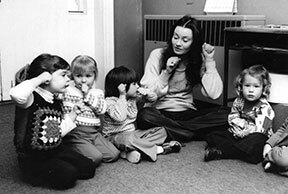 In September 1980, another Kindergarten session was added. 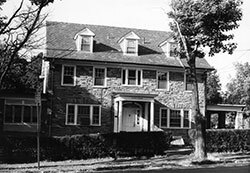 In September 1984, Alpha House was relocated on the campus east of the library. A modular one story building was erected. Today, Alpha House has an enrollment of approximately 100 students in Nursery, Pre-K, and Kindergarten. We have added full-day Nursery and Pre-K classes to meet the needs of working parents as well as before care and after school programs, which give parents from Alpha House a safe and nurturing environment for their children. Practicum and student teaching experiences are provided for students attending Holy Family University. Work study positions are available for the University students. In September of 2017, our kindergarten expanded to the newly renovated Aquinas building enabling us to increase enrollment and expand our programs to meet the ever changing needs of our students.